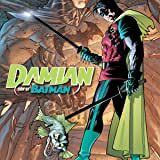 Damian Wayne, the son of Batman, has adopted the cape and cowl as his own...but what horrific events set this troubled hero on the path of his dark destiny? It’s a possible future that may never be in this epic written and drawn by Andy Kubert! 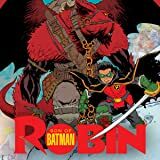 Plus, in a tale written by Grant Morrison, Damian Wayne is the Batman of Tomorrow in a story set 15 years from now in a nightmarish future Gotham! 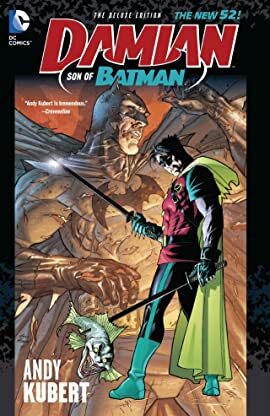 Collects DAMIAN, SON OF BATMAN #1-4 and BATMAN #666. 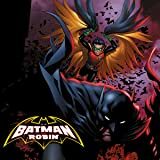 It's a possible future that may never be in this epic limited series written and drawn by one of Damian Wayne's co-creators, the legendary Andy Kubert. Everything has been leading to this! 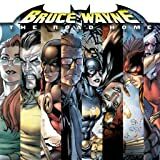 Bruce Wayne made his long journey back through time in RETURN OF BRUCE WAYNE. Now it's finally time for him to reunite with the characters closest to him. 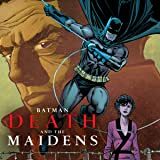 Don't miss these 3-page previews of the 8 issues connecting Bruce Wayne's past to Batman's exciting future!